I’ve always been curious about Bridal Expos. I’d never experienced one and my curiosity has always been piqued. So when I had the opportunity to go, I thought this would probably be my only chance to find out what they’re like. To my surprise, my fiance, P, wanted to go with me and see what they were all about. I think he quickly regretted that decision the minute we walked in the door. Well, actually, the first think he saw was a vintage Rolls Royce, so that got him a little excited. Soon after that though it was a sea of hard sell salespeople at booths grabbing you and asking rapid fire questions: “Do you have a venue?”, “Do you have a caterer?”, “Do you own a home?”… one guy kept trying to get me to sign up for a raffle for new home windows… I don’t own a home, and I don’t know what that has to do with wedding. I went to sign up for a TJ Maxx/HomeGoods gift card. P tried to disuade me. “Don’t give them your contact information”, he warned. “I shop there enough, I think they already know more about me than I know about myself,” I justified. I was interested in the fashion shows, which I think ended up being less about wedding dresses and more about bridesmaid dresses… well, actually more like prom dresses that they try to pass off as bridesmaid dresses. Either way, I’m not having bridesmaids, so it didn’t really help me much. The highlight of the event was seeing the Fred Astaire Dance School do a performance. I don’t know if I’ll convince P to take dance lessons, but I may have to try. All in all, I’m glad I gave in to curiosity and went to the expo… but I was so overwhelmed that I don’t think I learned as much as I was hoping. 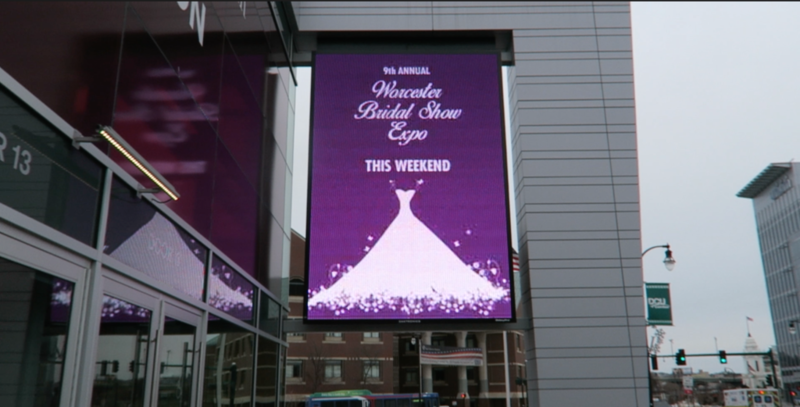 Have you been to a Bridal Expo? What was your experience?